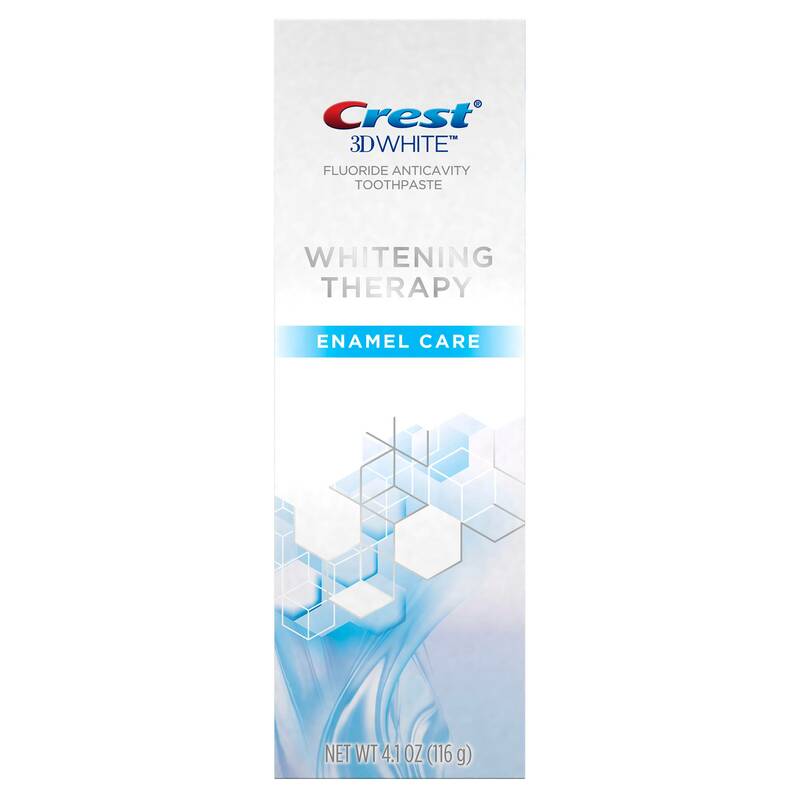 It is not just whitening- it’s therapy for your patients’ teeth that repairs weakened enamel. 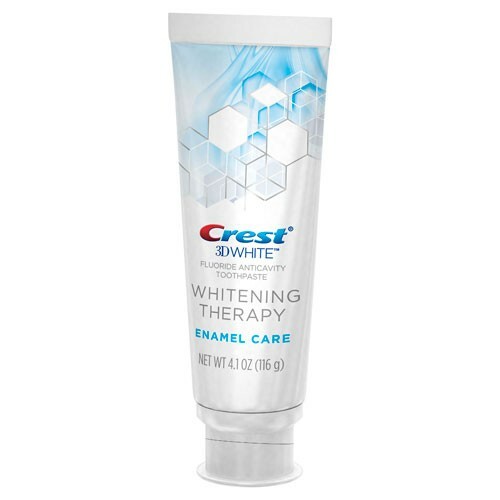 Crest 3D White Whitening Therapy Enamel Care nourishes teeth to repair weakened enamel and beautifully whitens. It is formulated with an Active Mineral Complex. The Enamel Care formula helps to remineralize your enamel. This formula gently lifts impurities and is specifically formulated to envelop each tooth to whiten and strengthen teeth. Ingredients: Active Ingredient Sodium Fluoride 0.243% (0.16% W/V Fluoride Ion) Inactive Ingredients Glycerin, Hydrated Silica, Sodium Hexametaphosphate, Water, PEG-6, Flavor, Trisodium Phosphate, Sodium Lauryl Sulfate, Carrageenan, Cocamidopropyl Betaine, Sodium Saccharin, Xanthan Gum, Sucralose, Mica, Titanium Dioxide. Directions: Instructions: Adults and children 2 yrs. & older: brush teeth thoroughly after meals or at least twice a day or use as directed by a dentist. Do not swallow. To minimize swallowing use a pea-sized amount in children under 6. Supervise childrens brushing until good habits are established. Children under 2 yrs. : ask a dentist.